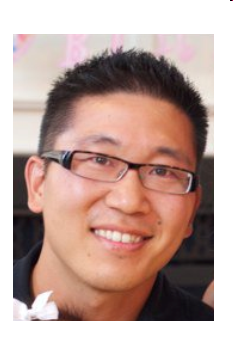 My name is Thomas Ro and I was a Math Facilitator with a keen interest in teaching math through problem solving and effectively integrating technology in the math classroom. In my role as a math facilitator, I saw many commonalities between the mathematical processes and 21st century skills and became more interested in how these fluencies (creative, collaborative, solution, media, information) could be effectively embedded into to classroom practice to increase student engagment, equity, and achievement. I soon began to realize that there exists a misperception in the classroom that learning is a one way street and knowledge and skills comes directly from the teacher and the students are there to be educated. This misperception exists because most teachers were taught this way and that their teachers’ teachers were taught this way. I also realized that this misperception of learning needs to change, not just in the math classroom but in every classroom. My so called “epiphany” led me to become a Consultant for my school board in the 21st Century Fluencies Department. I now have a new mission that just doesn’t involve learning math but learning in general. My new mission is to create an awareness of the 21st century fluencies and create a new perception of learning in the classroom. A perception where students are active participants and co-creators of their learning. A perception that moves away from the factory model of education and toward a community model. I have created this blog to improve my reflective practice as a professional and encourage others to join the conversation and take part in the sharing and learning. Would you be interested in having a look at 8 new short maths films for use in the classroom for ages 11-16? These films have just been made and we are looking for feedback from key maths teachers, that we can use when making the full set of many, many more maths films later on in the year. The films are completely free, and if you are interested, I’d love to send you a link to watch them. We would be very interested to hear what you think about them, and I hope you will be interested to see them. Sure. Send me the link and I’d be happy to take a look at them. I’m teaching a new course for pre-service student teachers – Technology in the mathematics classroom. Would you also be willing to share the link for the films? Sorry, I actually never ended up receiving any links from Jobina. Good luck with your new course for pre-service teachers. Sounds very exciting! I believe you and I worked together on an eLO project developing some material for the OERB. Anyway I stumbled upon your blog and have enjoyed the reading. Some great stuff and I’m interested on your exploration of 21st century fluencies. I look forward to continuing the journey. Yes I do remember the eLO storyboard sessions. I heard that some of the interactive learning objects will be coming out this late fall or during the winter. I’m excited to see how they turn out. Also glad you enjoyed reading my blog posts. I’m definitely learning a lot in my new role. Your consulting role sounds really applicable for 21st century learners and I am grateful that you are taking the time to blog about it! I am currently researching the use of technology for assessment and was looking at your post about Mental Note Lite app. Do you know if your daughter’s schools are using it and have you seen any evidence of that type of assessment at their schools? We lag behind in technology in our school due to funding but I am anxious to try the mini Ipad in our class and see what impact it makes. Thanks again for sharing! Enjoy the early learning years with your children! Glad you came across my blog and hope that you could take something away from it. Since my Mental Note app discovery, there have been many more apps on the scene that do familiar things. I’m actually leaning toward using Evernote for Documentation of student learning since you can record text, audio, and pictures. Evernote allows the user to easily create notebooks (perhaps one per student), search by keywords, and tags. They’ve recently updated their mobile device app with improvements to navigation and searching notes. I also like the fact that you can easily access your notes on any device with an internet connection. This being said, I’ve seen teachers use other apps in effective ways as well. Hope this helps. Thanks for the Evernote tip, I will definitely have to check it out and will share it with my AQ course members!